Rare Offering! 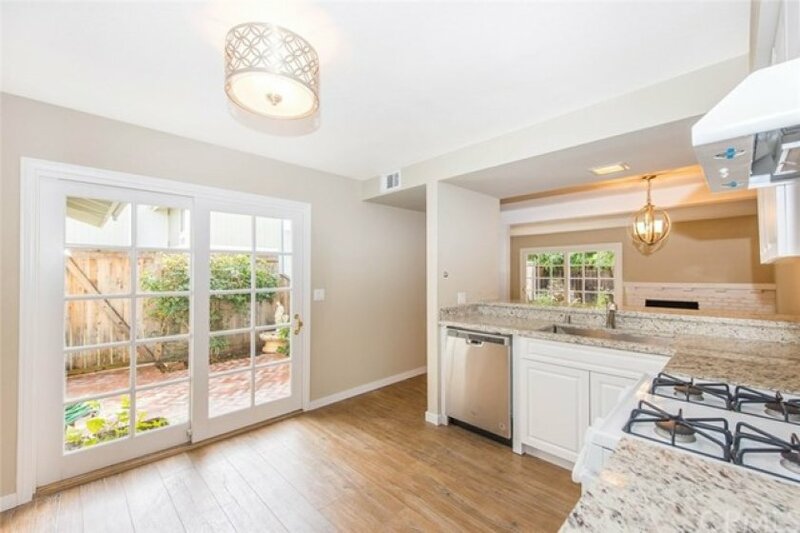 North Tustin Townhome with spacious lush grounds & patios. 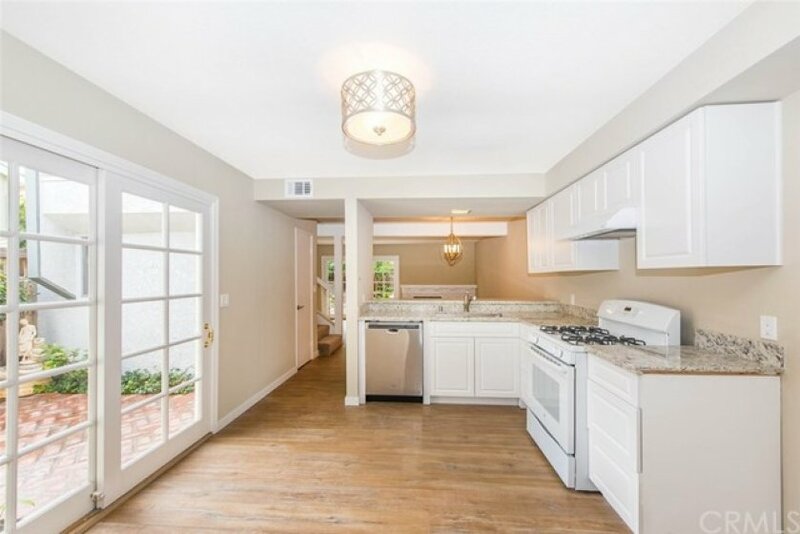 Remodeled throughout with an Attached Two-Car Garage - and in walking distance to fine shops and restaurants. The sunny open floorplan offers a spacious Living Room with elegant French doors and a "real" wood-burning fireplace. Dining Room with granite topped bar which opens to the Chef's Kitchen in the Great-room style. 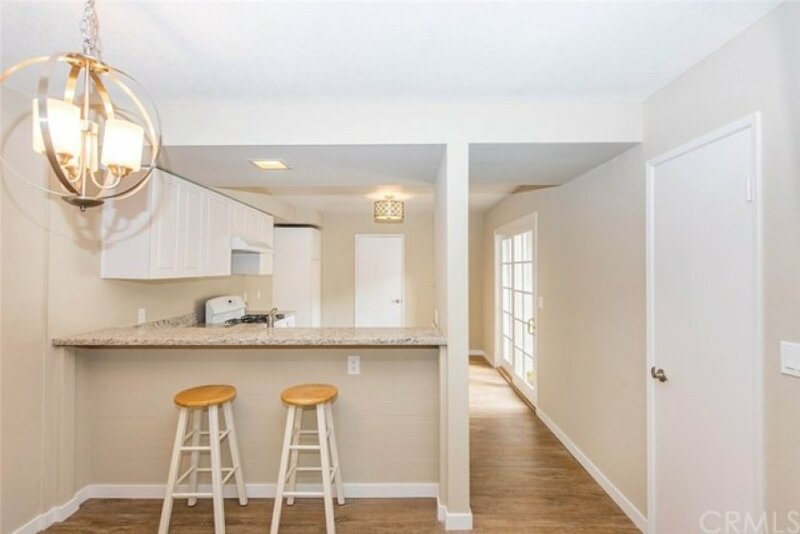 Fabulous Kitchen with new cabinetry, slab-granite counters, new stainless dishwasher & sink, gas range with hood, breakfast nook area and French doors out to a second brick patio. Ash-toned plank flooring enhance the entire first floor, Powder bath with slab granite counter, new sink, fixture, lighting, mirror, commode. 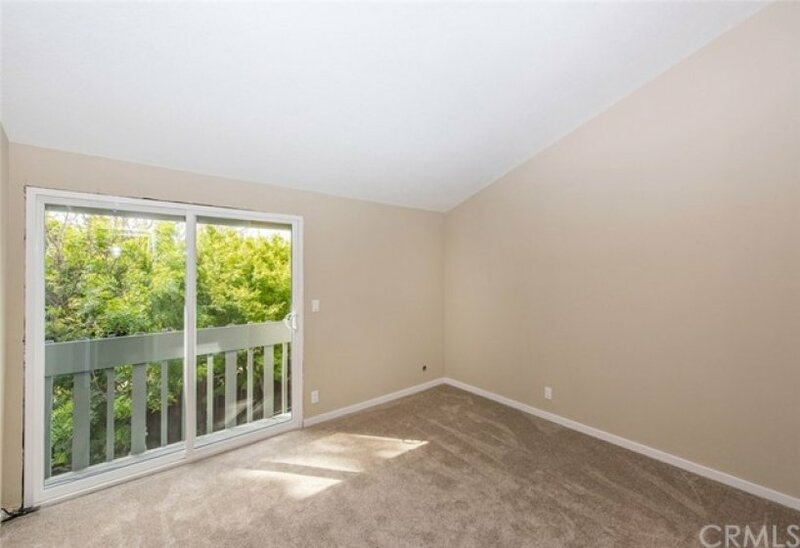 The two Bedrooms upstairs offer lovely privacy, soaring ceilings and tree-top views. 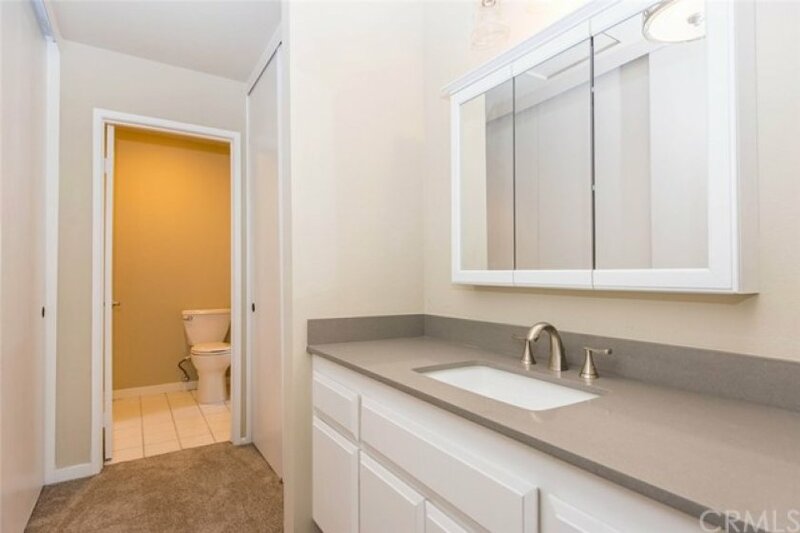 The Master Bedroom features new sliding doors to a balcony, Remodeled Bath with stone vanity, sink, lighting, mirrored make-up cabinet, his & her closets. The Second Bedroom has a huge walk-in closet and its own granite-topped vanity. Newly tiled shower with tub. 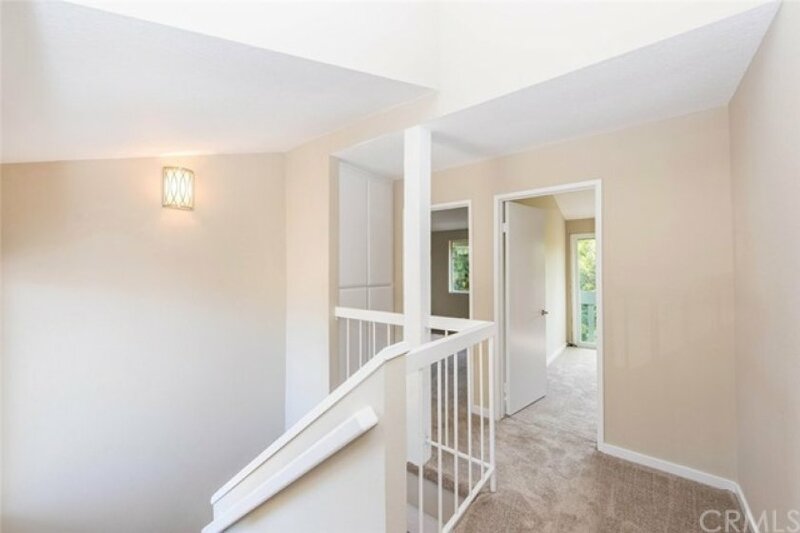 Brand-new carpeting, paint, door hardware and lighting fixtures thoughout. So supremely located for privacy and tranquility that the original owner saw no reason to move for over 40 years! 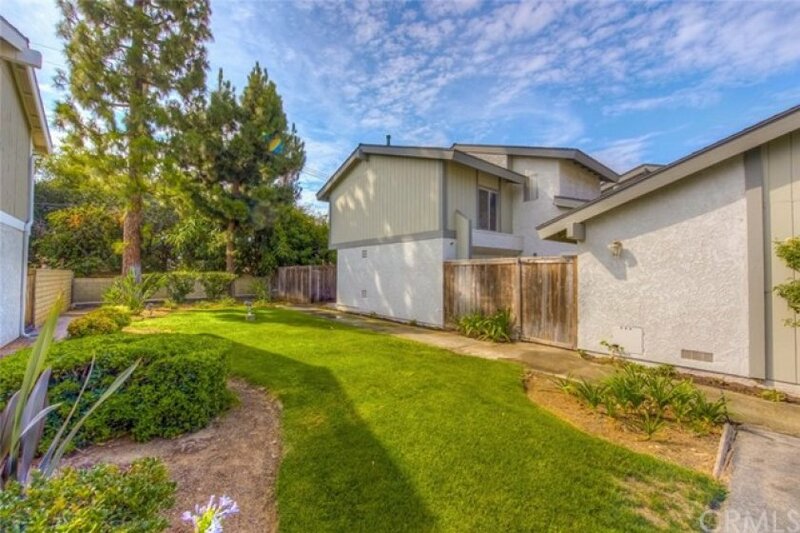 Backs to single level homes, sides to an expansive lawn with only one neighbor. The vibrant community offers a pool & spa, entertainment area and well-tended grounds. 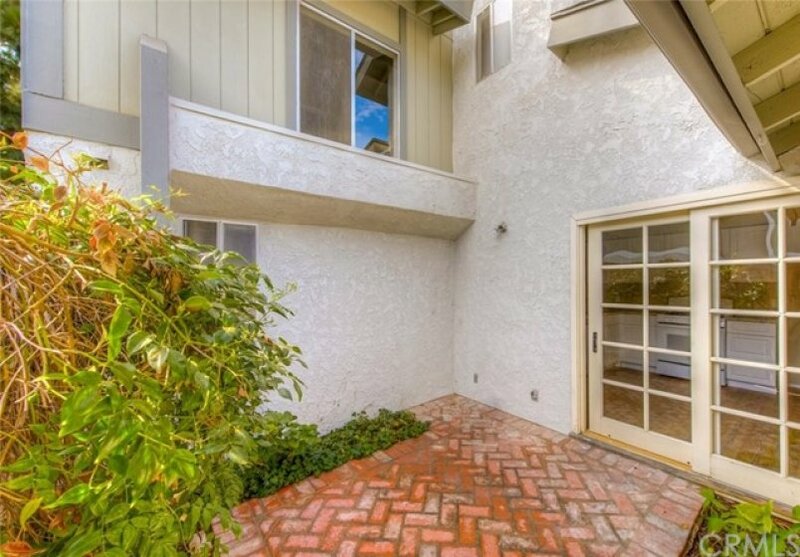 Homes like this are rarely available in North Tustin. Lot Size 2,370 sq. ft.